"I already have recommend the doctor to my friends - EXCELLENT RATING." "would recommend Dr Maccaro in a "heartbeat" to any one." "Dr. Maccaro was wonderful! He was professional, courteous, and kind. He explained things well and had a very calming persona. Very pleasant experience! I would definitely recommend him to others." "definitely would not hesitate to recommend to others." "Dr. Maccaro is a prince. Nice, careful, thorough, takes his time." "Dr. Maccaro was very pleasant with me at visit and very informative about my problem." "The physician was very concerning and confirmed the questions I had." "I would recommend Dr. Maccaro to anyone who needed his attention and skills. " "He is a very compassionate doctor"
"Dr. Maccaro has gone above and beyond. 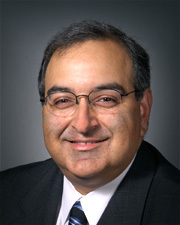 Dr. Maccaro is incredible and spends as much time as needed to explain your needed care and to understand. He is a pleasure!" "Care provider made me feel confident in him." "Excellent physician - Kind. Very knowledgeable." "Dr. Maccaro gave me & my family a new lease on life. He is unbelievable. " "Dr. Maccaro very caring, patient in answering questions. Can't say enough about him & his care." "I cannot say enough good things about Dr. Maccaro. He is one of the absolute best doctors I know." "Dr. Paul Maccaro is one of the most caring & capable health care providers that I've ever dealt with! He always takes the time needed to be sure to explain every necessary detail, regarding my implant & the 'plan' going forward. He shares his incredible expertise in an understandable & caring way. I always leave the office, feeling well informed & comfortable with whatever it is that I need to deal with regarding my health & healthcare." "Dr. Maccaro is very good at what he does." "Aside from being an excellent physician, Dr. M is a genuine, nice guy." "I feel very fortunate that I have Dr. Maccaro as my doctor." "Dr. Maccaro always takes the time to service my condition & tell me about new advances & medications & to explain his recommendations for my course of meds." "He answered all my questions." "Dr. Maccaro is a wonderful, caring, professional, informative practitioner. He always provides education , permits for time for questions and is very knowledgeable and caring. I have confidence that he will keep me safe, be available for consultation and I have and will continue to highly recommend his professional services." "Dr. Maccaro explained everything in great detail." "I saw Dr. Maccaro during my hospital stay. 8/31/17 was my first office visit. During the office visit the doctor took a great deal of interest in how I Was feeling on my meds. We talked in great length about my medical issues. I felt VERY safe, secure and comforted by him! He shows much compassion. " "I would not ever go to another doctor, but Dr. Maccaro - I totally trust his recommendations & his care." "He's the best, kindest and friendliest." "#6. Answer is good. " "Dr. Maccaro is an excellent doctor." "Dr. Maccaro is wonderful! Very thorough, kind, patient. He piked up on an issue with one of my other meds I was on, not related to my arrhythmia, and advised me to take a vitamin. My own PCP never did this." "Have nothing but good things to say about Dr. Maccaro & his staff." "My problem is very unusual, and Dr. Maccaro always tries to help find a solution." "Dr. Maccaro and staff very concerned and caring! Love them all!" "Dr. Maccaro is very professional & personable. I felt I was in very good hands." "Well appreciated experience a complete change from previous years experience."